Today we are excited to share with you yet another special find that our team at Marvin Gardens has just acquired. 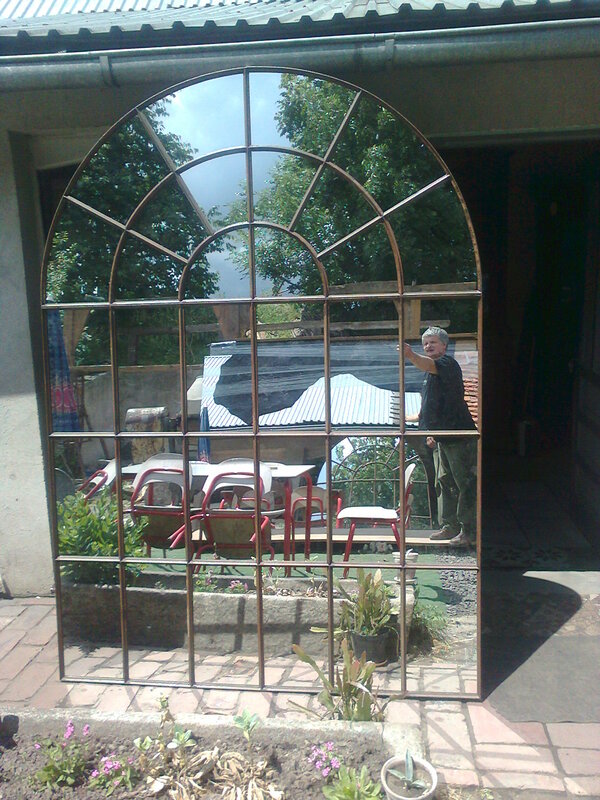 Arriving soon, this impressive European Factory Mirror is just what we’ve been looking for, for our vast garden collections. The design possibilities for a garden accessory of this nature are endless. We all know that with an interior space, a mirror helps to open up a space, making the room seem larger and more grand – so what better area to recreate the same ambiance than in the garden, where the more openness, the better! The size of the mirror is just remarkable. Standing 7.5’ high and 5’ wide, the grandness of the piece creates a bold statement. Built during the early 1900’s, the mirror also offers us a glimpse into the architecture and designs of the time over a century ago. The piece is absolutely stunning and we look forward to sharing it with you all! Stop by the Marvin Gardens shop soon to view the stunner.